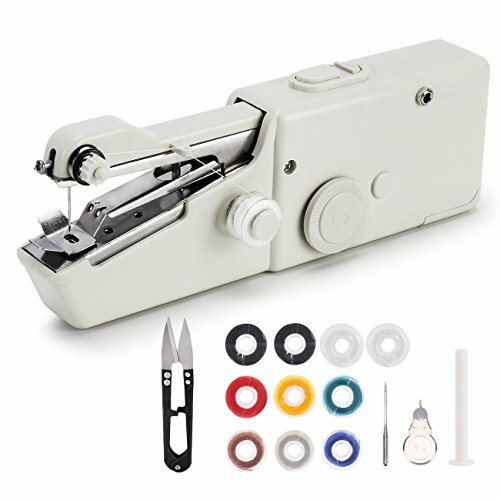 • Portable Cordless Single Thread Hand Stitching Machine. • Battery Powered, Lightweight and Compact..
• Quick and easy to use. Perfect for DIY fashion designers, on the spot repairs and alterations..
• Handy and easy to carry. Great for use at homes, travels, arts and crafts..
• Powered by four AA 1.5V batteries or via 6V 600mA DC power adaptor..
• Size/Dimensions: 8.7 x 5.9 x 2.1 inches..